If you are trying to have a baby or are just thinking about it, it is not too early to prepare for a safe pregnancy and a healthy baby. 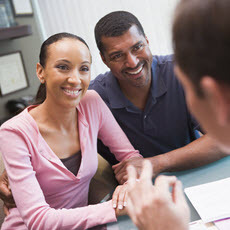 You should see your health care provider for preconception care. By taking action on health issues before pregnancy, you can prevent many future problems for yourself and your baby. Once you're pregnant, you'll get prenatal care until your baby is born. Article: Levothyroxine in Women with Thyroid Peroxidase Antibodies before Conception.